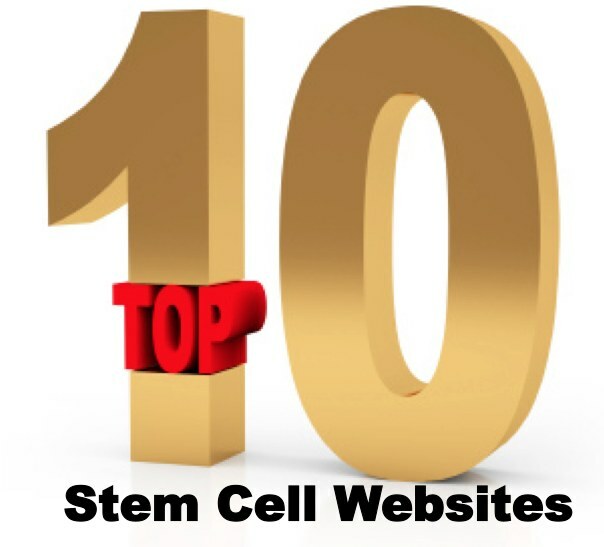 What are the top 10 stem cell websites? Where do you go to find the latest information and opinion on the stem cell and regenerative medicine fields? Today, that information flows almost from minute to minute via websites and from social media. This is a transformational difference from past decades when it would take months. For instance, it is common today to first learn about a cool new stem cell paper via Twitter the moment it leaves embargo. What are the top stem cell websites today? When I think about making a list of such sites, I’m looking for my go-to websites that are regularly updated (e.g. at least weekly ideally). Here is my list of the top 10 stem cell websites in semi-alphabetical order. And a special honorary mention for Stem Cell Battles by the amazing Don C. Reed (also check out the new book of the same name) that stands out as awesome for many reasons. Look for other recommended sites that are not necessarily only on stem cells on my BlogRoll on the right lower side of this blog. What are your favorite stem cell-related websites? Beyond zombies: reviving dead people with stem cells & lasers? @Dee, I’m not sure what you mean? I thought about including it, but wondered since I did include the Stem Cells journal site. Maybe I should have listed the Portal site instead since it is more varied? The Portal site covers both Stem Cells and Stem Cells Translational Medicine and as much of everything else as we possible can! So yes, it is a bit more varied. We also keep our FB and Twitter up to date with current goings on in the field, and so may be a useful tool to keep oneself up to date. Any promotion of Stem Cells/ Stem Cells TM/ The Stem Cells Portal is, however, greatly appreciated.